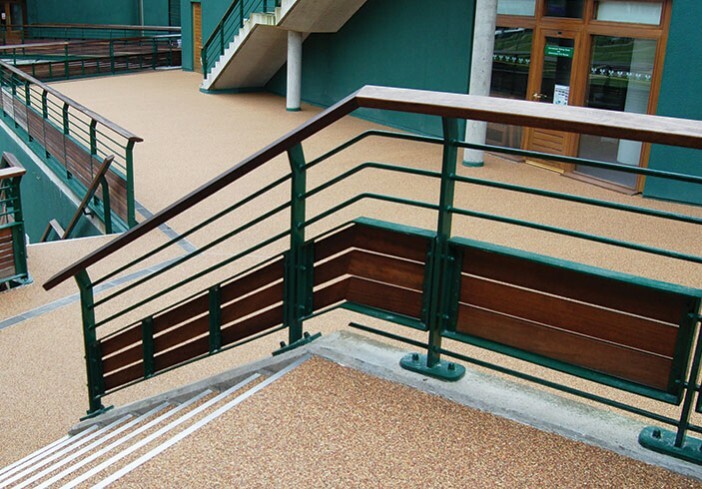 With sweeping views of the tennis courts beyond, the roof terrace is an ideal location for filming live television interviews and hosting members of the press, but time had taken its toll on its tiled surfaces. Not only was the old paving slippery after rain, it had also become dangerously uneven. Built over a suspended office ceiling, the terrace flexed due to heat expansion and contraction – but the tiles didn’t. A number of tiles had loosened, shifted or cracked, causing puddles to form. To make matters worse, the tiles were not fully vitreous and some had suffered frost damage. Where water had seeped under the surface, further cracking and blowing had occured. Several areas had become stained and discoloured, adding to the unkempt, out-of-date look. 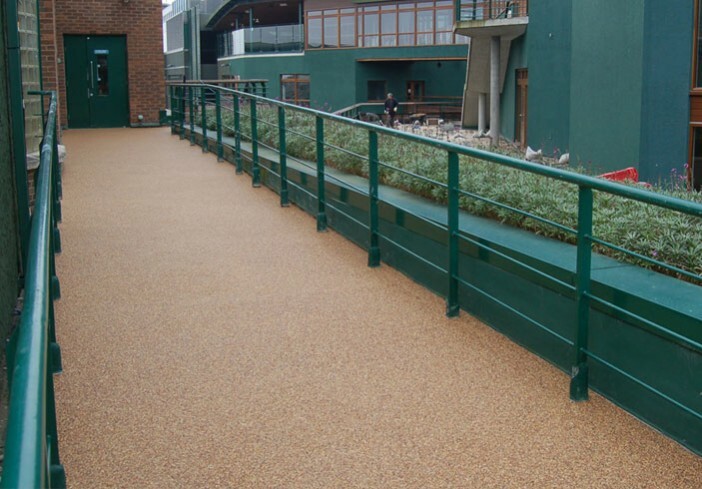 Dan Heymann, director of Cornerstone Properties, briefed Clearstone Paving, a Brighton and Hove based specialist in resin bound paving, to carry out a complete renovation of the terrace, steps and entrance gate using safer, more attractive and more durable materials. 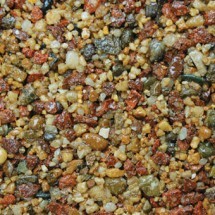 Clearstone, realising that looks were important to this project, Dan Heymann selected a particularly attractive, warm-coloured gravel from their extensive palette of natural materials. 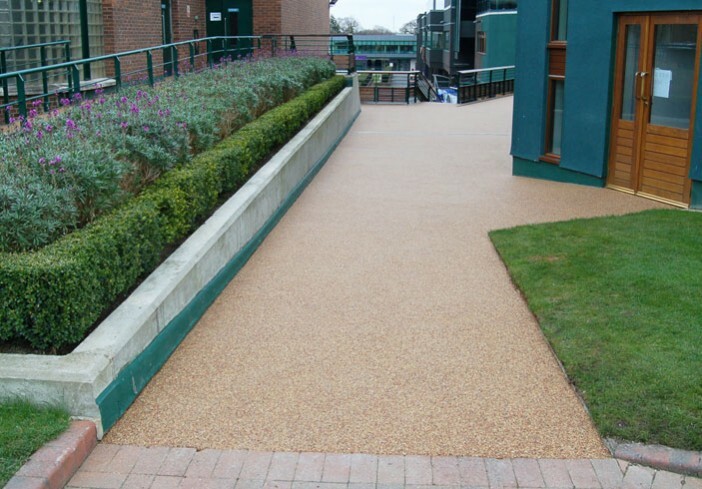 Their technicians used this to create a seamless resin bound surface that perfectly complements the dark green walls of the surrounding buildings. 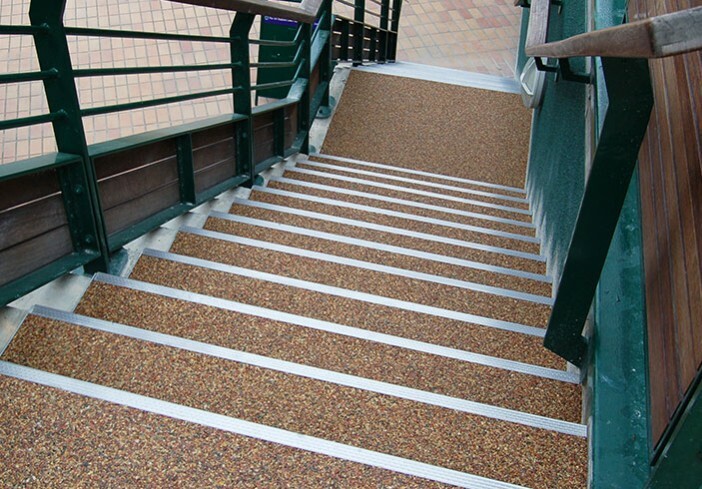 They also faced the steps with stainless steel risers and finished the treads with TripE edging for a clean, elegant look that will not tarnish or corrode over time. The entire project was completed to deadline, and within budget. 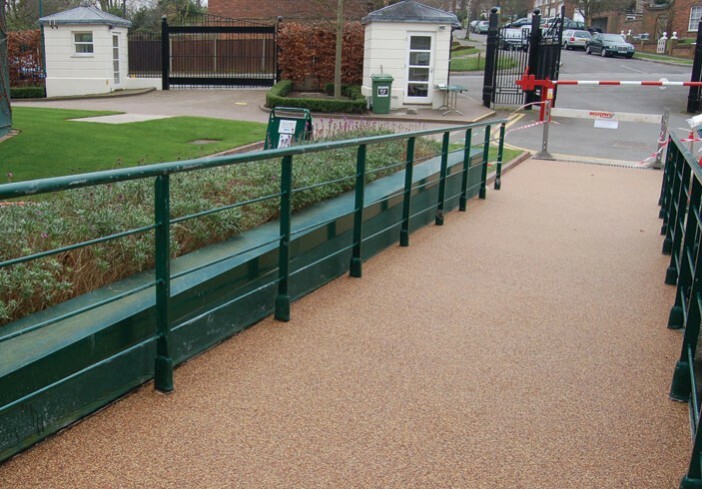 Resin bound gravel paving proved the perfect solution. 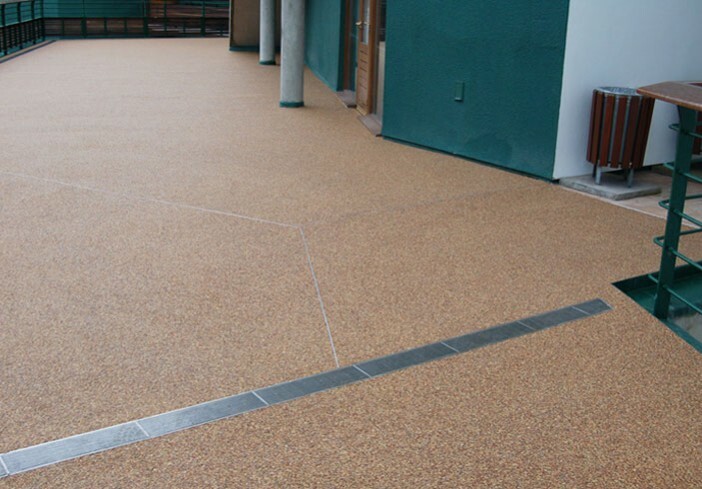 With a non-slip surface that’s flexible enough to resist cracking, this innovative type of paving is also fully permeable, allowing water to seep away from the terrace to the surrounding drainage channels long before puddles start to form. In this corner of the venue at least, rain will never stop play. Clearstone working for: Cornerstone Properties. 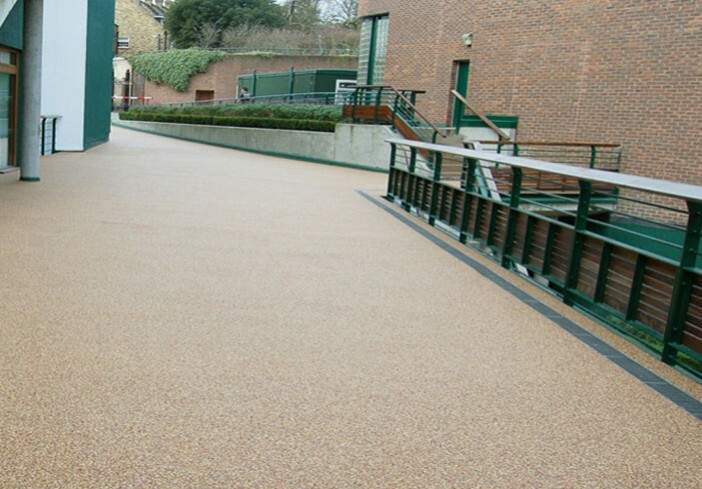 Project: Resin bound surface laid on a roof over offices. Timescale: Project completed, including tile removal, preparation and laying in 10 days. Design Service: CAD drawings and construction phase plan. Edging: Trep-E by Schlüter-Systems UK.